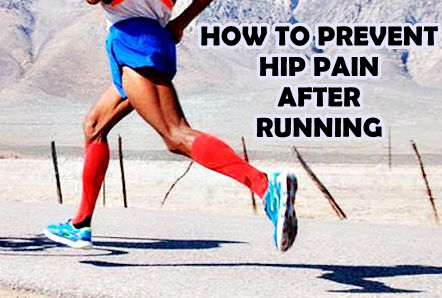 There are 3 changes a runner must implement to their biomechanics to prevent hip pain after running. 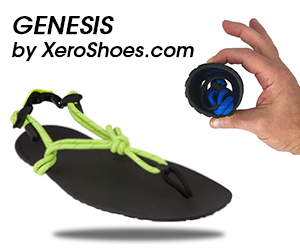 They are: increase your step frequency, decrease your stride length, and land with a forefoot strike. Click here to see what a forefoot strike looks like! Luckily, landing with a forefoot strike naturally increases step frequency because it forces you to take smaller steps (i.e. shortens your stride), resulting in smaller hip extension moments at touchdown . What is so safe about a higher step frequency during forefoot running? When step frequency is higher, the musculoskeletal system behaves better as a spring and allows more energy to be absorbed at the hip . A higher step frequency also reduces peak hip adduction during loading response shortly after touchdown . Low hip adduction corresponds to less strain on the knee-joint , which accounts for the low prevalence of knee injury in habitual forefoot runners. A highly recommended method for increasing step frequency is through auditory queuing with the use of a metronome. Through practice, the timing of the metronome helps habituate motor learning that controls cadence. Forefoot running reduces stride length which causes the torso (center mass) to pass through a smaller horizontal area relative to initial foot strike position, resulting in less compressive forces on the hip. A method to decrease stride length when forefoot running is to land with a more flexed (bent) knee at touchdown. This also allows for a more plantar flexed ankle at touchdown (shown below) which reduces peak hip adduction also. To shorten your stride, bend the knee and keep your forefoot relaxed and do not lift it up at touchdown, rather just let the forefoot fall to the ground effortlessly. Don’t Heel Strike! – Research shows that heel striking is a major pitfall for runners. Barefoot Running – It’s not a fade. 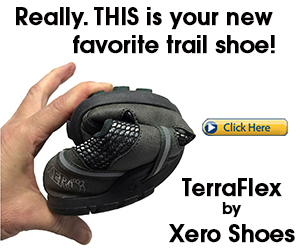 It’s actually one of the best ways to improve the sensory networks in your feet and joints. 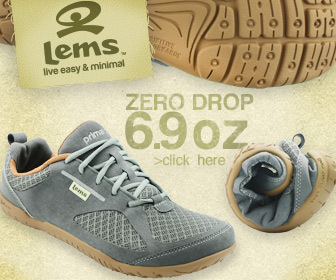 Shoe Reviews – A forefoot runner’s guide to minimalist shoes. When Your Knees are Out of Whack – Learn how to avoid runners knee.
. Heiderscheit BC, Chumanov ES, Michalski MP, Wille CM, Ryan MB. Effects of step rate manipulation on joint mechanics during running. Med Sci Sports Exerc. 2011;43:296-302.
. Schubert et al. influence of stride frequency and length on running mechanics: a systematic review. Sports Health, 2014, 6(3):210-217.